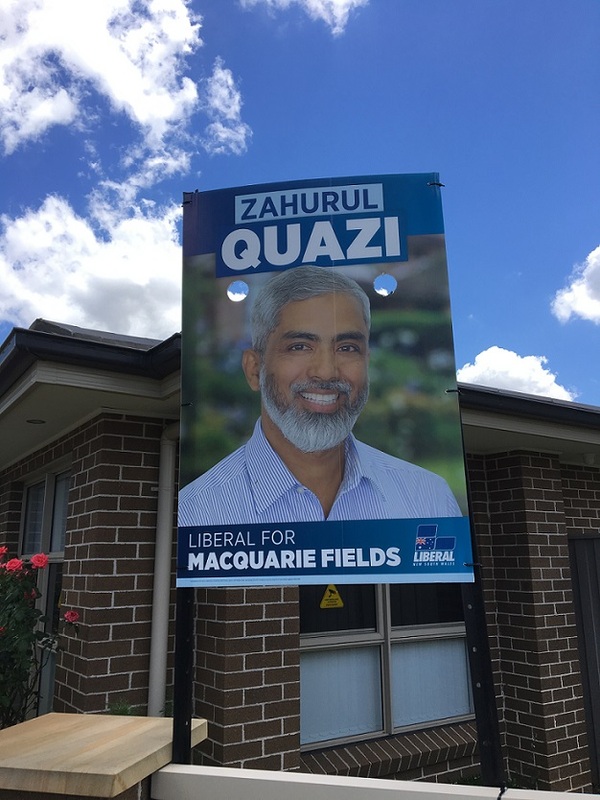 His election signs are spreading like mushrooms, but who exactly is the Liberal Party candidate for Macquarie Fields, Zahurul Quazi? We can tell you he is a successful local businessman who is of Bangladeshi background. And we also hear he is very confident he can give sitting Labor MP Anoulack Chanthivong a run for his money at the March 23 NSW state election. Speaking of money, we also hear Mr Quazi is also going to spend quite a few dollars on his campaign. But other than that we know nothing of the man whose picture adorns front yards from Minto One to Ingleburn. A couple of weeks ago we asked the NSW Liberal Party to give us something on their candidate and now we await their response with bated breath. PS. Our mention last week of the Member for Liverpool elicited the usual mysterious response, that we have it in for Paul Lynch. And as always with these responses, there was no mention of what he had achieved for Liverpool in 23 years. Dare we suggest it’s because there wasn’t much to report? There are moves afoot to get rid of the athletics centre at Campbelltown Sports Stadium. Well, not rid of it, but relocated to make way for the redevelopment of the stadium as part of the arrival of big time soccer in town in 2020. What we hear is that plans are being drawn up for the redevelopment of Campbelltown Sports Stadium and they do not include athletics. If it comes to pass there will be a lot of unhappy parents whose kids attend Little Athletics there on Friday nights and also for regional and state carnivals. And while we’re on the Macarthur South West Sydney A-League franchise, it seems the colours of the team have already been decided and they will be black and white. 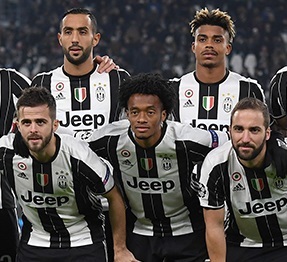 The colours will mirror those of Italian football giants Juventus (pictured) and it will mean that if the Western Suburbs Magpies ever return to the NRL as a stand alone entity there will be two black and white teams playing out of Campbelltown Sports Stadium. It was so hot on Australia Day, many people stayed away from Koshigaya Park during the day, which meant Ingleburn Rotary were seriously worried their free sausages would go to waste. Rotary always run a free barbecue on the day, but as president John Hartmann writes in the club’s monthly newsletter, Ingle Angle: “Australia Day in Koshigaya Park tested us out! The first 6 hours in the blazing sun and boiling humidity with virtually no custom caused some despondency as well as concern at the possibility of almost 1,000 sausages being left at the end of the night. “Then, at 7 pm, people started arriving for the festivities and we were run off our feet right up until 9pm. And while on this year’s big day on January 26, federal MP Anne Stanley penned a nice note to congratulate Autism Advisory and Support Service founder Grace Fava for receiving an OAM. “Many congratulations to Grace Fava on her well-deserved receipt of the Order of Australia medal. Grace’s passion and commitment make such a difference to families and children with autism in our area. This well-deserved honour goes some way towards recognising the tireless advocacy and work Grace does in our community,’’ Ms Stanley wrote. 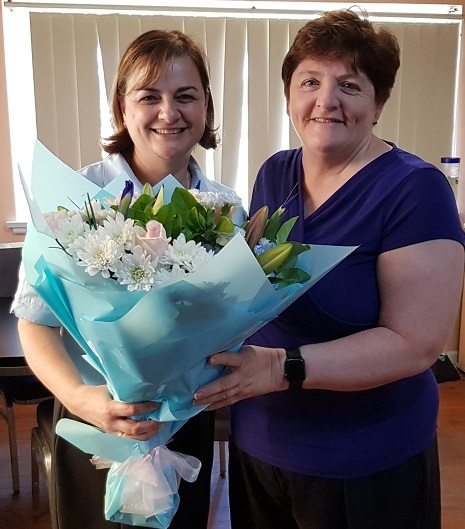 As if that wasn’t enough, Ms Stanley also visited Grace to present her with flowers. Final note on the 2019 Australia Day: three South Western Sydney Local Health District doctors received honours, Professor Afaf Girgis, Dr Ahmad Alrubaie and Dr Andrew Browning. From the sublime to the ridiculous: Campbelltown Council’s regular dog attacks report always includes cats – as victims. The most recent included two such incidents, one at St Andrews where a cat asleep under a tree was attacked by two roaming dogs and another one at Campbelltown, once again a roaming dog entering a front yard and killing a cat. The St Andrews cat survived the attack but needed medical treatment. Having started this week’s Macarthur Chatter with politics let’s finish with it and how Wollondilly independent candidate Judy Hannan met with Ian Bailey, Chair of the Office of Conservation of Birding NSW at Warragamba Dam to discuss the potential disasters to the biodiversity of the valley if the raising of the dam wall goes ahead. 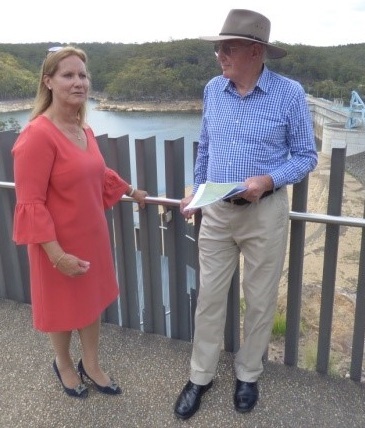 Mr Bailey painted a grim picture of the consequences if the state government plan to raise the dam wall by 14 metres goes ahead. He says thousands of hectares of the Blue Mountains National Park will be lost as water levels rise. “The critically endangered Regent Honeyeater has recently been recorded as breeding in the Burragorang Valley. It is estimated there are about 400 birds surviving in the wild,’’ he said. 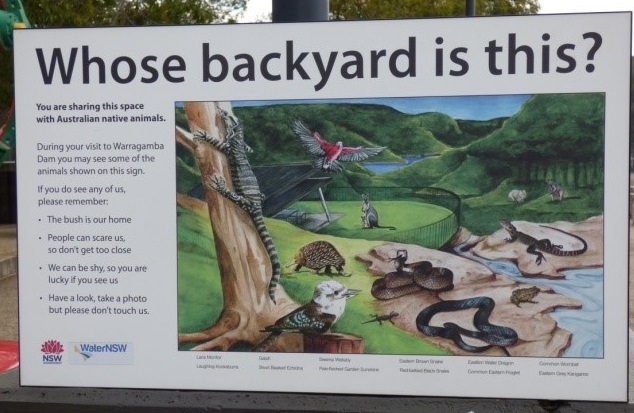 “Many other iconic Australian animals will be lost as illustrated on the local signboard [pictured below] at the lookout: birds, reptiles, mammals and amphibians. Yes, it is their backyard and they will be displaced!